This week’s post may surprise many of you given I typically strive to highlight how pet parents partnering with both a family veterinarian and a board-certified veterinary specialist is invaluable for your pet’s healthcare. I feel comfortable saying veterinarians wish our patients never got sick. Alas that is a utopian notion, and we certainly don’t live in a utopia. Pets categorically need veterinarians, and my primary care colleagues are the first responders of the veterinary profession. They are the ones who identify diseases first early in their courses. They are the ones who prescribe treatments for various health conditions before they blossom into potentially life threatening ones. Undeniably preventive care for dogs and cats is essential and even lifesaving. This week I review the importance of preventive care for our pets, and hope you find the information helpful. Happy reading! Preventive Care – What is it? 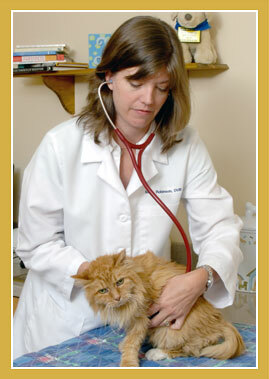 A veterinarian listens to a patient’s heart and lungs as part of a wellness examination. These preventive care components can prevent diseases that are both life-threatening and expensive to diagnose and treat. Preventive Care – Why is it important? Many pet parents come to me with sick and dying pets. After evaluating their pet’s history and performing a complete physical examination, I develop a plan for that fur baby – tests and treatments I believe are most appropriate to best help that patient. Understandably this plan has financial implications for families, and unfortunately some families are simply not able to heed my recommendations due to fiscal constraints. Preventive care helps identify diseases early in their courses, which can help reduce the need for hospitalization in an ICU. Some of these veterinary healthcare costs could have been much less if medical attention had been provided earlier. Please don’t interpret this statement as judgement against families and/or a pet’s primary care team. Yet it is true the cost of prevention is a fraction of the cost of treating a disease once it has become more advanced. Furthermore early diagnosis and/or intervention of developing health issues unquestionably increases the likelihood of successful outcomes. Wellness examinations are an essential component of preventive healthcare. Just as regular visits with your personal physician is important, so too are routine visits to a primary care doctor important for dogs and cats. If a veterinarian can detect a problem in its early stages, s/he will be more likely able to treat it with less expense and better success. 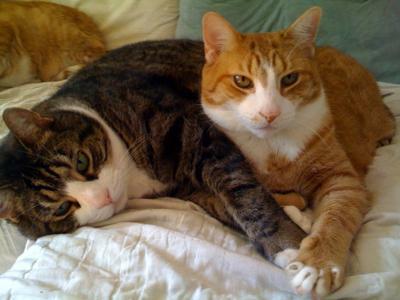 Indoor cats benefit from preventive care just as much as their outdoor counterparts. 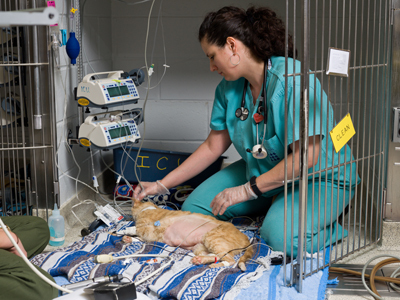 If veterinarians were truly only in the profession to make money, we would let our patients get sick and treat them only when testing and therapeutic interventions were much more costly to families. When it comes to treating potentially serious health conditions, early diagnosis is key. In most instances the earlier one begins to treat a condition, the greater the chance for treatment success. Please heed the recommendations of your pet’s primary care team, for they are made with your pet’s best interest at heart. Following them truly could mean a world of difference to your fur baby!